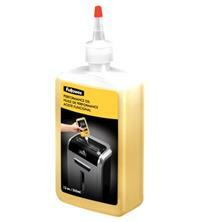 This Fellowes Shredder Oil is a great way to help keep your shredder in optimal condition. Fellowes recommend oiling your shredder every time you empty the waste bin and the handy extended nozzle on this bottle makes it easier to oil your shredder blades. The 350ml size should keep you going for many months and the oil is also biodegradable.